Do Frozen Dinners Have Too Much Sodium? The American Dietetic Association defines a 2 gram sodium diet as one that limits sodium intake to less than 2 g of sodium daily. Your doctor or dietitian may recommend you follow this type of diet if you have hypertension or kidney disease, as both conditions increase your risk for developing cardiovascular disease. If you are accustomed to eating processed foods and eating out often, you may find a 2 g sodium diet difficult. Sodium is added to most processed food products including soups, frozen entrees, and snacks. Restaurants and fast-food restaurant foods contribute a considerable amount of sodium to the American diet. However, you can manage a 2 g sodium diet by replacing or eliminating these sodium-rich foods. A breakfast for someone on a 2 g sodium diet could include 3/4 cup of multigrain cereal with 1 cup low-fat milk,1 slice of whole wheat toast with 1/2 tbsp. of unsalted butter, 1 medium banana, and a 4 oz. serving of fruit flavored yogurt. You can have 1 cup of 100 percent fruit juice for breakfast, or opt for water or coffee. The sodium content for this meal is about 660 mg.
For a lunch with less than 500 mg of sodium, have a turkey breast sandwich, 1 cup of baby carrots, and 1 cup of 100 percent apple juice or water. Make the sandwich with 2 oz. of light turkey meat, lettuce or romaine leaves, 2 tomato slices, 1 tbsp. of low-fat mayonnaise and 2 slices of whole wheat bread. A dinner and dessert that contains 860 mg of sodium is a good level for dinner and dessert, provided you restricted your sodium at other meals. Include spinach and walnut salad made with 1 cup raw spinach leaves, 1/2 oz. of chopped walnuts and 1 tbsp. of light raspberry vinaigrette. For an entree, have 6 oz. of baked catfish with 1 tsp. lemon juice. Side items could include 1 cup of mustard greens, boiled and drained, and 1 medium baked sweet potato with 1 tsp. of ground cinnamon, 1 tsp. brown sugar and 1/2 tbsp. of unsalted butter. For dessert a low sodium dessert that will easily fit within your dietary constraints, have strawberries and cream prepared with 1/2 cup of thawed, frozen strawberries and 4 tbsp. of lite whipped topping. You can include 16 oz. of sweet tea or water. Following a 2 g sodium tends to take away some of the flavor of your favorite cuisine. To compensate, you may use a salt free seasoning mix in place of salt. 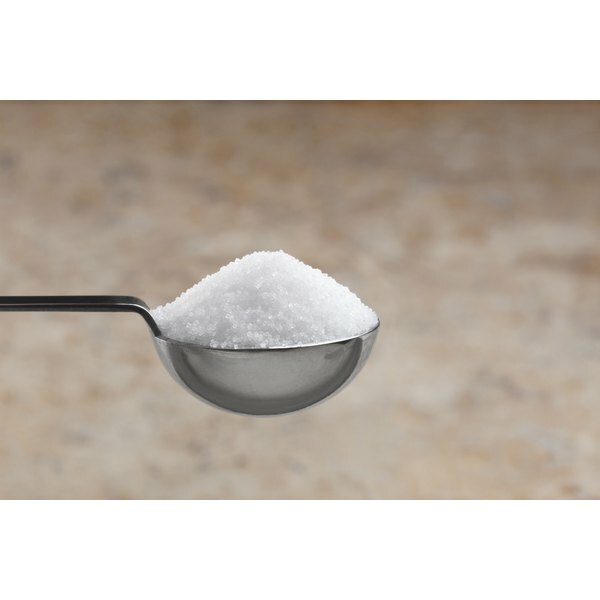 Salt substitute is potassium chloride and a safe alternative to table salt provided you are not restricted in potassium due to complications of kidney disease. If you normally flavor your boiled vegetables with meat, use half the meat you were planning to use and do not leave the meat in the vegetables; take it out sooner to decrease the sodium leaching into the water from the meat. Choose fresh or frozen fruits and vegetables over their canned counterparts whenever possible. Your Guide to Lowering Your Blood Pressure with D.A.S.H. A registered dietitian and licensed dietitian/nutritionist, Brandy Williams began writing in 2007. Her publications can be found in peer-reviewed journals such as the "American Journal of Lifestyle Medicine" and "Public Health Nutrition." Williams holds a Master of Science in human nutrition and food from Louisiana State University.